Harry Connick Jr.’s personal life is as successful as his professional career. He has been a married man since a long period of time. He is married to former Victoria’s Secret model and actress, Jill Goodacre. The couple began dating each other back in the 1990s. After having an affair for few years, they got married on April 16, 1994. They together had three daughters named Georgia Tatum Connick, Sarah Kate Connick, and Charlotte Connick. They have been married for 22 years now and they are still living a happily married life. Their married relationship is still going very well and there is no sign of divorce at all. He is living a happy life with his wife and daughters. Currently, he resides in New Orleans, Louisiana with his family. 1 Who is Harry Connick Jr? Who is Harry Connick Jr? 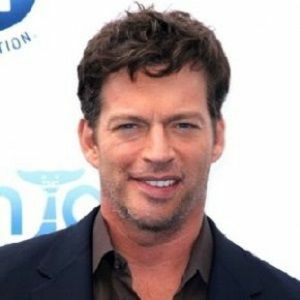 Harry Connick, Jr. is a famous American singer, musician, and actor. He has sold over 28 million albums worldwide. He is best known as a Jazz singer. He is also widely recognized as the host of Harry. He is famous for his role as Leo Markus in the TV series Will & Grace (2002-2006). Harry Connick Jr. was born as Joseph Harry Fowler Connick Jr. on 11 September 1967, in New Orleans, Louisiana, United States. Harry is an American by nationality and is of mixed ethnicity (Ashkenazi Jewish, Irish, English, German). He is the son of a Jewish mother Anita Frances and an Irish-English father Harry Connick, Sr. his mother was a lawyer and judge and his father was the District Attorney of Orleans Parish from 1973 to 2003. Both of his parents are dead. He has a sister named Suzanna Connick. He was raised in the Lakeview neighborhood of New Orleans with his sister. He attended Jesuit High School and went to Hunter College as for his graduation. Later, he enrolled at New Orleans Center for Creative Arts and Manhattan School of Music to learn music. Harry began his career as a musician in 1989, providing a soundtrack for the romantic comedy When Harry Met Sally (1989). He won his first Grammy Award for Best Jazz Male Vocal Performance for his work on the soundtrack. He made his acting debut as a tail gunner in the World War II film Memphi Belle (1990). He played Captain Jimmy Wilder in Independence Day (1996). He made his television debut appearing as himself in Super Bowl XXVI in 1992. He released albums in 1990. His album We Are in Love earned him his second consecutive Grammy for Best Jazz Male Vocal that year. His album When My Heart Finds Christmas (1993) became the best-selling album in the United States. His album Only You (2004) reached No. 5 in the US and No. 6 in Britain. He has won three Grammy Awards and two Emmy Awards till now. 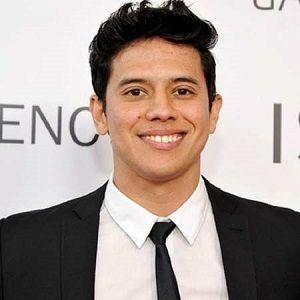 He has appeared in several big screen movies and TV films including Basic, Living Proof and New in Town. He has hosted the show Harry since September 2016. Throughout his successful acting and singing career, he has accumulated a net worth of 35 million dollars. Talking about the rumors and controversy, Harry Connick Jr. was arrested by the Port Authority Police in 1992 for bringing a gun to the security checkpoint in an airport. He spent a day in jail and he agreed to make a public-service television commercial warning against breaking gun laws. Harry has the height of 6 feet 1 inches. His body weight is 78kg. He has Brown hair and blue eye. Talking about his body measurement, his chest size is 39 inches and bicep size is 13.5 inches. Similalrly, his waist size is 33 inches. His shoe size is 12. Harry is active on different social media platforms. Currently, he is active on Facebook, Instagram, and Twitter. Additionally, he is also active on YouTube. Harry has more than 1.4 million followers on his official Facebook. His Instagram account holds more than 550k followers. Similarly, his Twitter account has got more than 382k followers. He has more than 13k subscribers on his official YouTube. Amanda Seyfried and Thomas Sadoski are Married Now! 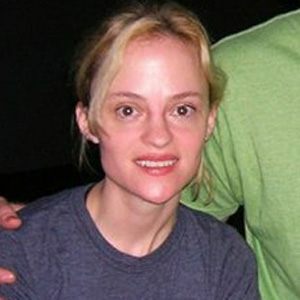 Amanda is Pregnant: Due for anytime Now!! Two Happy News at the Same Time!! !